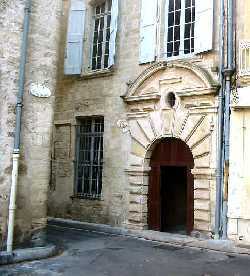 Impeccable apartment in old Pezenas palace. 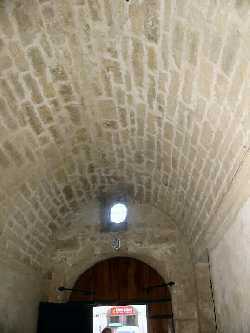 Vaulted stone access to inner court and stone stairs, which lead up and up to the apartment. 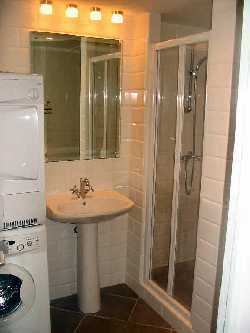 Two bathrooms, fully fitted renovated and equiped. 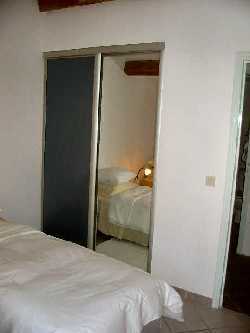 This is a luxurious, beautifully renovated and furnished roof top apartment in the heart of the old town of medieval Pezenas. 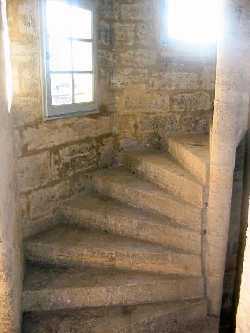 You enter the building through a stone vaulted lobby and climb up the stone staircase beside the inner courtyard, until you reach the top. from the stairs and the balcony in front of the apartment's door there are views over the roof tops and towards the mountains. Through the door and into the open plan living area, with a comfortable dining area on the left and a built in kitchen area on the right. 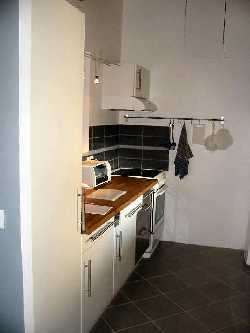 The kitchen is fully equiped, and some guests have praised the details - good sharp knives etc - that make preparing food in this area a pleasure rather than a chore. 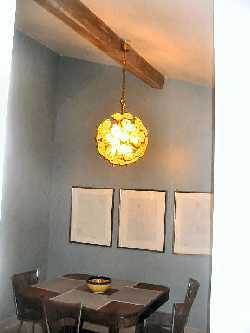 In front of the kitchen area is a sitting area with comfortable and stylish seating and a music center. A wide double door on the left leads into a second seating area with a double sofa bed and hence this room doubles as the second bedroom. 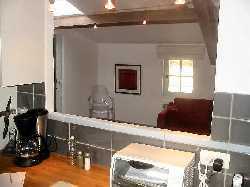 To the right of the first seating area is a short corridor with two new and fully equiped shower rooms, the second with washing machine and dryer and a twin bedded master bedroom on the left. Windows and skylights giving good light throughout, new tiled floors and the artist owner's choice of colours make this apartment something very special in the heart of Pezenas.